Pastor-author Andy Stanley is, if anything, a deeply passionate Christian leader about church growth and reaching the unchurched in the youngest generation. I am not a huge fan, thus I do not read him often. But I am not a huge fan of a lot of this kind of writing and teaching. But I profoundly respect Andy Stanley and believe that he contributes to the overall well-being of the church. Stanley, the son of the famous Charles Stanley, preaches to an estimated 33,000 people every Sunday at five different North Point Ministries metro-Atlanta campuses. Like his father, who still reaches older viewers, Stanley also has a television program, Your Move. This program is estimated to reach an audience of nearly one million per week. There would have been a time when this post would have irritated me, if it did not (in point of fact) bring about a negative public response from me. This was surely true back in the 1970s. Not any longer. And certainly not when I read what Andy Stanley said once he was criticized and sought to clarify his response through further comments. When asked to define the term “revival,” Stanley acknowledged he was speaking in terms of local (organized) revival meetings. He explained that he wanted to draw attention to the revival-like growth and atmosphere he had seen at South Carolina’s New Spring Church, pastored by his friend Perry Noble. Stanley further responded by saying that much of the frustration evident in his Tweets stemmed from growing up in Southern Baptist churches listening to church leaders pray for “revival” while being unwilling to make the organizational changes necessary to reach people. 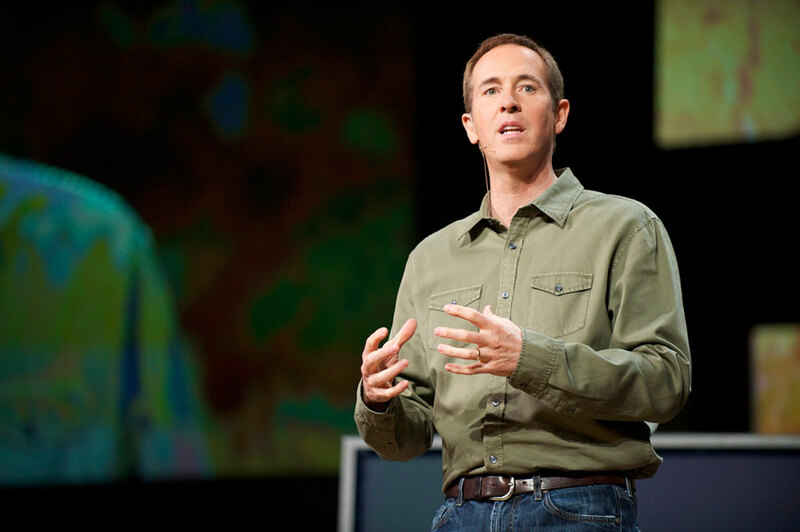 While Andy Stanley and I see the local church quite differently (I am a minister in the Reformed Church in America, a mainline church) I share his deep commitment to mission. “Mission,” said the late Dutch theologian Hendrikus Berkhof, “is far more than a minor practical instrument in the world of salvation. It is directly linked up . . . with the [church’s] great future” (The Doctrine of the Holy Spirit, Richmond, Virginia, 1964, 34). I think Stanley understands this and practically seeks to make sure that mission is central to the Spirit’s work in the world. He is not content, at least as I read him, to simply go about “Bible belt” ecclesial actions and call this the Spirit’s work. So when a church says, “We want to see our church do something. We want to baptize more people. We want to reach our city,” and then church consultants or smart people go in and say “You need to fire these people, you need to quit spending this money, you need to do this and that” and the church goes that, “We can’t do any of that,” well my reaction to the whole revival terminology, is that, you know what, instead of praying for that whole revival, there are some very practical things churches could do to reach their communities. This response sounds a bit more “Southern Baptist” (at least to me) than Andy Stanley lets on. He noted that while he has been criticized on occasion for suggesting that a church’s success could be built on the shoulders of “man” and leaving little room for the assistance of the divine he rejects that criticism. I have not leveled such a criticism at Andy Stanley because I do not think it to be true but I can understand why it has been said. When you see how his church functions, and how they do the work of evangelism, you do see a lot of the typical mega-church marketing style at work. But having said this I know far too many unchurched, and formerly churched, folks who have found a good spiritual home at North Point. My friends in Atlanta are almost all respectful of Stanley’s high-profile work. It’s not either/or. The organizational side of church is absolutely key to getting things done and I don’t think that’s un-spiritual. Applying what Paul taught can look a bit corporate. But what happens as a result goes way beyond what an organization can accomplish. People’s hearts are changed. Only the Spirit of God can do that. But for reasons known only to Him, God chooses to work through us as we work together. That’s why there’s nothing like the local church. But how do you say all that in 140 characters? Stanley underscores several worthwhile points in these comments. Twitter is ineffective in communicating anything of depth without the great danger of being misunderstood. The popular and highly influential Tim Keller has tweeted some comments at times (I have wondered if he wrote them actually) and has been caught in the same trap. I suggest that we show grace to people who fall into these “Twitter traps” and allow them to explain themselves before we rush to judgment. While I agree with Andy Stanley about “local church revivals” (and have agreed for fifty years actually) I have more recently come to believe that he doesn’t go far enough in his response. I think he hints at this but I would like to draw it out. Remember, I am a student of America’s awakenings and I am the product of such a movement from the 1960s. I believe in awakenings that come from God and touch large groups of people in a given locale, city, nation and time in redemptive history. I wrote a book, still available from out-of-print sources (or from me if I dig it out of a box in my basement), titled: True Revival: What Happens When God’s Spirit Moves. I believe the themes and message of that book were right. What I have come to conclude, however, is that waiting and seeking God for revival when the Spirit has already been poured out on all flesh is not a balanced and biblical perspective. While Stanley might stress methods overmuch revivalists stress waiting and praying overmuch. Really? Yes, I believe they do. I do believe in protracted prayer, seeking God together and even fasting. But I do not believe that we have to “wait” until a dramatic outpouring happens to become obedient and enter into the experience of the blessing of God upon our mission. Let us move on and get busy with clearer and better focus on the real mission. We just might find that the Father pours out the Holy Spirit as we go forward in faithfulness to his mission. Mission is the emphasis of the New Testament, not periodic revivals. As the early church did mission in the obvious power of the Spirit they lived in what I’d call a “perpetual” state of revival. Maybe we should do the same. Finally, Andy Stanley has entirely avoided the polemical debates within evangelicalism, or so it seems to me. He has remained squarely focused on evangelism and discipleship. He has thus avoided becoming a negative lightning rod. These days that is saying a great deal about both the man and his ministry. Bravo! Ross Chapman liked this on Facebook. Troy Victory liked this on Facebook. Evert Claesson liked this on Facebook. As always more than a little confused by this exchange. So my comments may seem a little off, but some words of caution. Many mainstream churches substituted a somewhat vague understanding of mission for both missions and evangelism in the 1960s. Surprising many church leaders felt either that social activism was enough, especially if it embraced radical causes, to attract “youth” or even that the churches could afford to loss some members as a result of their “witness.” It was a serious mistake. The influence of the churches on public and cultural realities has steadily declined with the mainstream churches leading the pack. And the distance between mainstream denominational leaders and local churches has become greater. The European churches still baptize millions with only thousands remaining even “holiday” believers. So, the need to recover evangelism among the former state churches is strong. The papal talk of a “new evangelization” is actually a call to action that we should all hear. And, although I rarely agree with either Stanley, Andy is right that many local churches would rather piously pray for revival than make the internal changes that would make the churches more attractive and more effective. Most churches are governed by 16th and 17th century polities that no longer promote the Gospel. Greg Martin liked this on Facebook. I listen to “your move” every week. Andy has got the heartbeat of this generation and is answering the call of Christ. Go Andy! Nice, John. I love the balance. No ministry is perfect; but Andy is doing an effective work among a population segment that much of the rest of the church is clueless about. So if I have understood correctly the point, perhaps Paul’s statement “be filled with the Spirit” (Eph 5) should be taken as the grammatical imperative it is rather than simply as a prayer-wish. Reading that imperative in context seems to be exactly what is being spoken of in this conversation, namely a call to get back on point from a contentment that amounts to churchly bed-spins. There Paul leads with “don’t be drunk…” i.e. ineffectively directed, and then calls for and fills out the command that we are to diligently work out the Church’s mission with fear and trembling because God already IS at work and present, not standing around looking up at the sky. I am a member of Buckhead (one of the NP sites). And I have a number of theological differences with Andy and North Point. And I wish there was some additional nuance that even in the clarification wasn’t present. Primarily I think that what doesn’t come through is that the work of the church is inherently God’s work. We can do as much as we want, but without God’s action through us our work is less than effective and useful. Because I am a part of this church, I know that Andy believes that all of the work of our churches is important, but that work is still dependent on God for ultimate fulfillment. I know the leadership of the church is prayerful, does seek after God for direction, does believe that it is God that builds the church and not our own work apart from God. But Andy is also clear that we have a responsibility to actually do more than just pray. I am a pastor’s kids, my brother, 3 uncles, an aunt and 5 previous generations are/have been pastors. I love the church (universal). But I have not been a part of a church previous to this that was so intentionally focused on reaching people for Christ. And many that NP reaches are those that have some previous experience. People that may have gone to church or been aware of Christians, but missed the actual gospel of grace. There are certainly other models and other churches that are necessary to reach all of the people that are apart from God. But I am glad be a member here (even if personally I would love to be in a church that is more liturgical.) I feel a calling here because the church does such a good job reaching people. I feel like I need to set aside some of my preferences and be a mature christian that works to mentor, disciple and lead these new young passionate christians to reach their friends and family. Liturgically, the worship is centered most weeks around baptism. This is a baptism from yesterday and I think you can see why North Point has been so effective at communicating the gospel. Thank you for taking the time to share; I needed to hear that. Michael Alvarez liked this on Facebook. Kevin Rash liked this on Facebook. Michael Bryce Jr. liked this on Facebook. Stephen Taylor liked this on Facebook. Kevin Philip Emmert liked this on Facebook. Rick Doll liked this on Facebook. Thanks for this generous post and analysis. I have long been thankful for Andy’s ministry but not really a fan. I think it was more personal than theological or methodological. My issues not Andy and maybe tinged with a bit of jealousy if the truth be told. That being said, I especially appreciate your last two points of summary, especially #4. I wish more of our brothers in ministry (myself included) were less polemical and more focused on the making disciples. The natural man has no part in this. It is only the spiritual man that can carry this great responsibility. God commands us to pray and fast. To die to ourselves. To crucify the flesh. The devil isn’t afraid of a preaching man with no power. It’s is only in the power of the Holy Spirit that we can defeat satan. A church that doesn’t pray, is a dead church. I’m so sick and tired of listening to these so call ministers that really know nothing of the geuine life of Christianity. This idea that man doesn’t have to pay the price on his knees is nothing more than a man centered religion. That’s why so call churches today are so dead and people’s live aren’t truly changed. There are no spiritual giants. God is no respecter of person. Why do we equate large churches and tv ministries with spirituality? The two are not one and the same. Wake up people and depend on God and not man. Study your bible and pray. God wants obedience and not sacrifice. Faith is obedience to God’s word. That’s why people are so easily deceived, because they think that popularity is spirituality. They think a big church and tv ministry is necessarily a sign of God’s favor and it’s not.